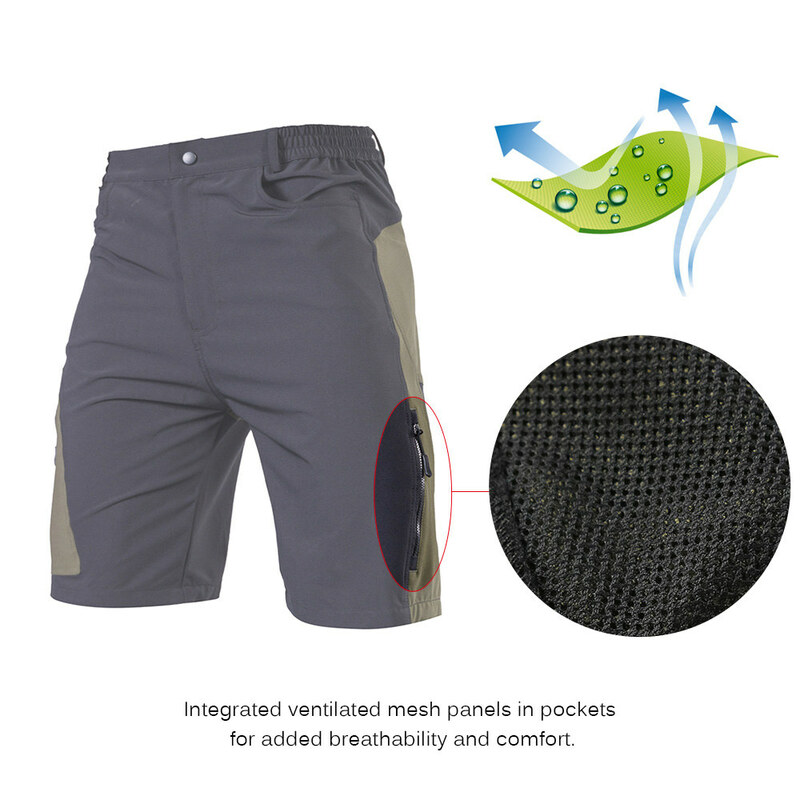 TOMSHOO cycling shorts are made from 100% polyester, super lightweight, moisture-wicking and quick to dry. It has 5 pockets to keep your items safe during cycling, those pockets are super breathable with ventilated mesh panels. 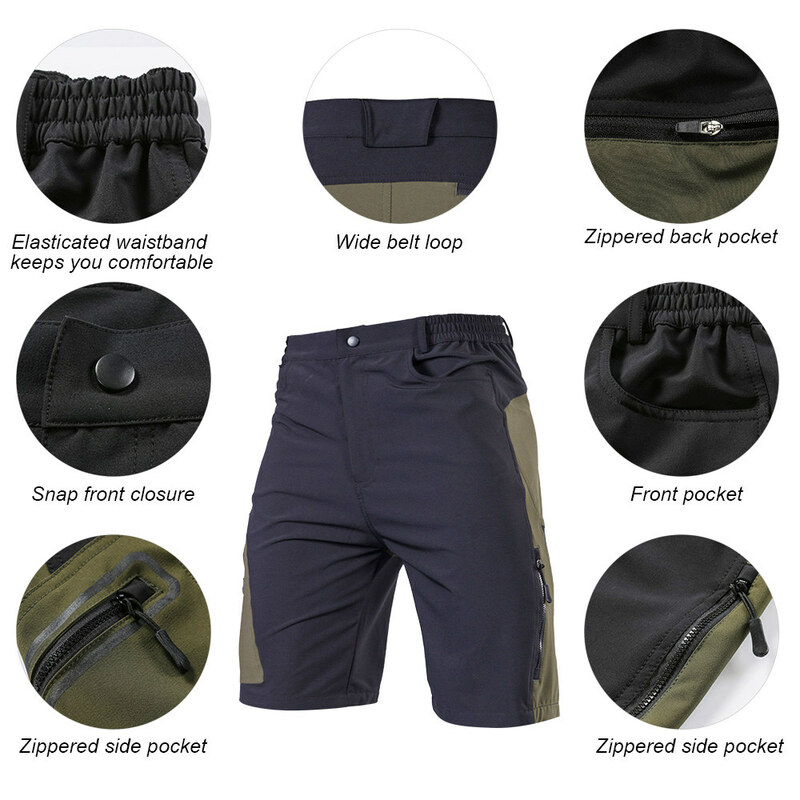 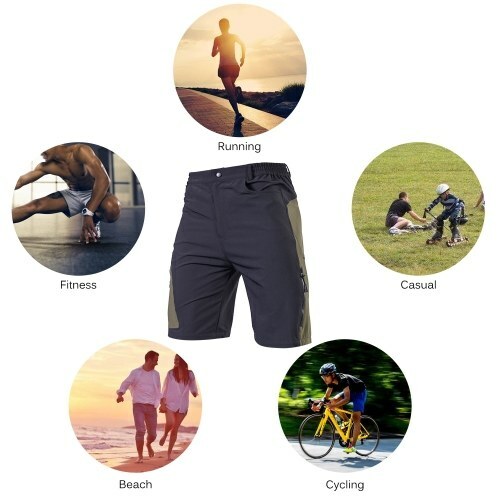 The loose-fit design and elastic waistband make the shorts very comfortable to wear, suitable for outdoor cycling, running, beach and other casual occasions. Size is optional: S(CN),XS(EU)=Waist 28.0"-33.8" / M(CN),S(EU)=Waist 29.1"-35.4" / L(CN),M(EU)=Waist 30.3"-37.0" / XL(CN),L(EU)=Waist 31.5"-38.6" / XXL(CN),XL(EU)=Waist 32.7"-40.1". 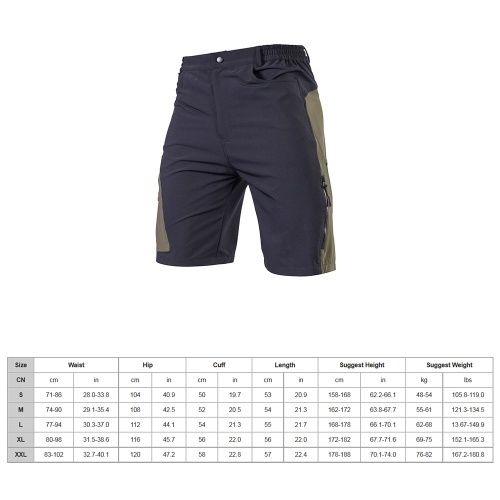 100% polyester fabric provides optimal moisture transfer and superior breathability. 5 pockets include 2 hand pockets and 3 zippered pockets. 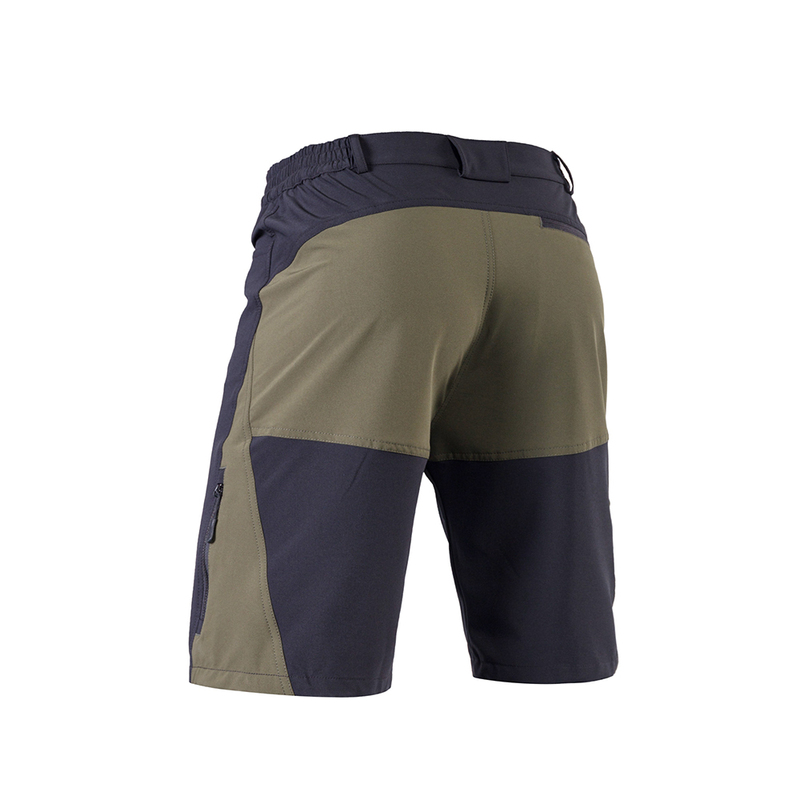 Integrated ventilated mesh panels in pockets for added breathability and comfort. 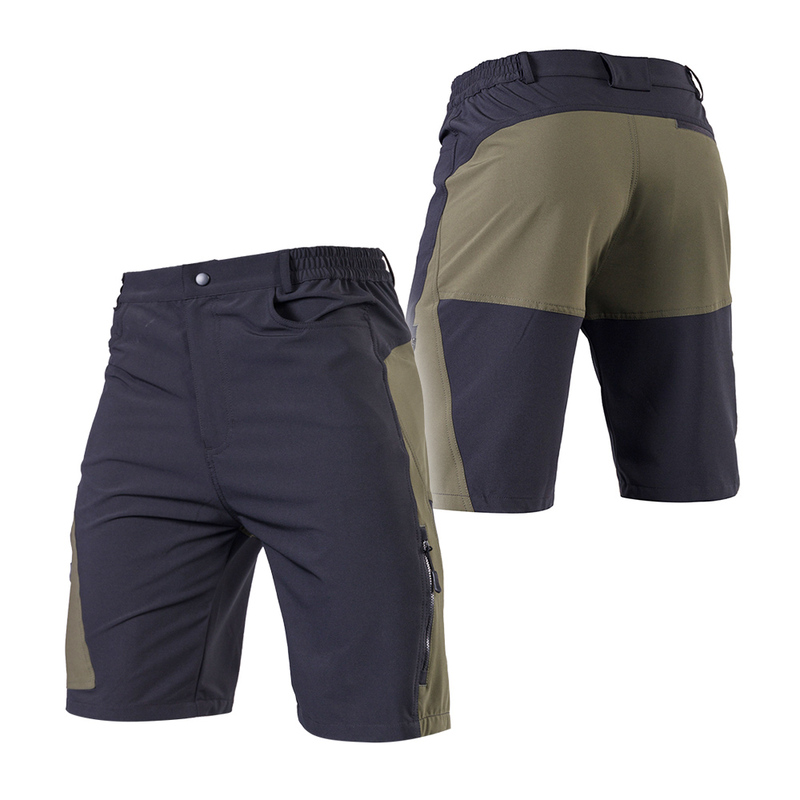 Loose-fit design and elasticated waistband keep you comfortable. Super lightweight and quick dry, good for cycling, running and other outdoor activities. 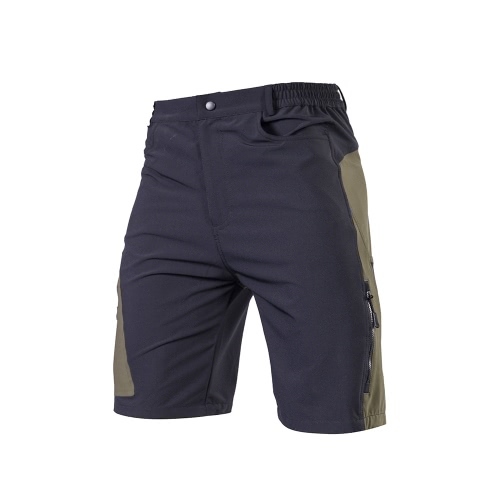 Recommended for short-distance and casual cycling or other sports, not for professional and long-distance riding.